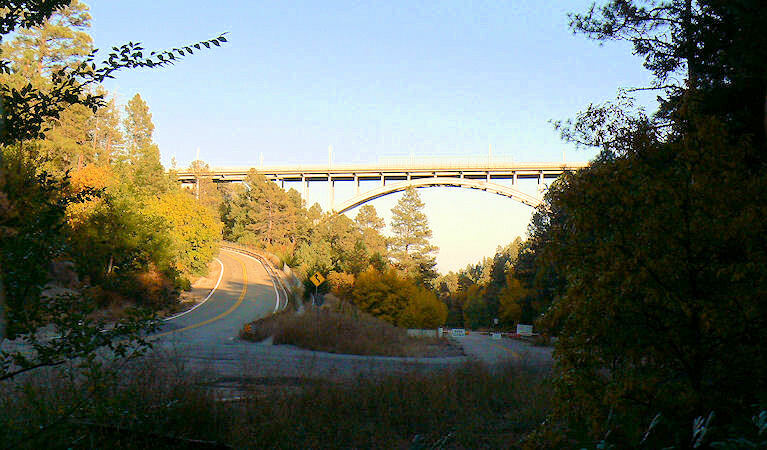 Los Alamos Canyon Bridge or (Omega Bridge) as viewed from the bottom of Los Alamos Canyon. Cool shot. I looked at with my husband and said I wonder if people skateboard down that road and he looked at me like I was crazy.